The term “Super Tuscan” originated in the 1980s to describe a mix of Tuscan reds. What makes “Super Tuscan” a wine, unlike other Tuscan wines, is the use of non-indigenous grapes. Super Tuscan wines differ from the Tuscan ones since they can be made from other different grapes than Sangiovese, such as Merlot, Cabernet Sauvignon and Syrah. The creation of super Tuscan wines was the result of blending unauthorized varieties in order to achieve high quality wines, which were labelled as table wine or “vino da tavola”. Since the 1970s the Tuscan producers began to develop this new wine. The legal system finally gave up in 1992 by creating IGT (Typical Geographical Indication), a new designation that gave oenologists the ability to be more creative in their elaborations and launch to the market wine with a higher level of quality than a table wine. The most famous Super Tuscan wine is called “Tignanello”, and was created by the Marquis Piero Antinori in 1971. This was the first Super Tuscan wine and is made with a blend of 80% Sangiovese, 15% Cabernet Sauvignon and 5% Cabernet Franc. After the release of Tignanello, other producers imitated Antinori and embraced the task of creating wines with these mixtures. 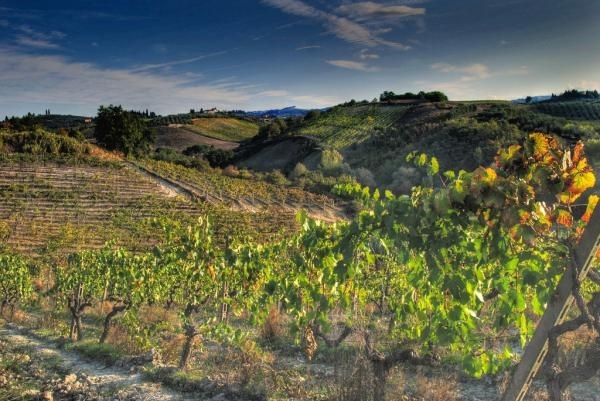 Although the first two super Tuscan were born in Bolgheri and the Chianti Classico area, they now have spread to all areas of Tuscany: Chianti Classico and other Chianti subzones, Brunello di Montalcino, Vino Nobile di Montepulciano, Bolgheri, Carmignano and Montecarlo. In areas such as Chianti, super Tuscans have become the cellars’ most important wines. Super Tuscan wines are fine and highly rated wines. Some well-known in the world are: Sassicaia di Tenuta San Guido (developed by Marquis Mario Incisa della Rocchetta) and Gaja, from Felsina, among others. Tignanello 2011: a red wine from Tuscany DO of Antinori cellar with cabernet sauvignon and cabernet franc of 2011 and 14º of alcohol strength. Brancaia Tre 2012 is a red wine with Tuscany DO based on the best of cabernet sauvignon and merlot from 2012. Leave a Comment What they mean when they talk about Super Tuscan Wine?